I often hear or read the expression: “Education begins at home and our parents are our first teachers.” It’s a cliché but I cannot deny that it’s true and that it always reminds me of the vital role our parents play in our development prior to attending school. And so our home is where we first learn, where we first attempt to know and explore. A month ago (last February 19, to be exact), I was reminded of exactly that, of how I navigated through childhood towards becoming who I am today, at the launch of #ChildrenFirst!StoryBooks. The United Nations Children’s Emergency Fund, or UNICEF, released a collection of six books by some of the country’s most celebrated writers and artists. One of them was written by Anne Curtis (fan boy alert), UNICEF’s Celebrity Advocate for Children. And since it’s already out there – it being me a proclaimed fan – let me start with Anne’s (first name basis, HAHA!) book Anita, The Duckling Diva, and why children and adults alike should pick it up. This book tells the story of Anita, a shy duckling who struggles to gain confidence to perform in front of a crowd, which hinders her from showcasing her wonderful singing talent. Anita’s struggle is worsened by her bitter rival Helga the Frog’s discouragements. Why it is fun to read: The eye-catching illustrations fit the story really well. 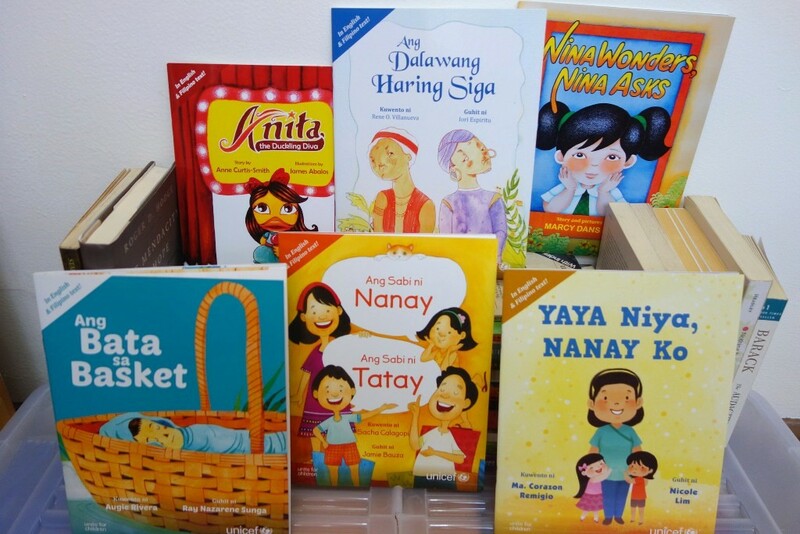 Meanwhile, award-winning writer, and Anne’s writing mentor, Augie Rivera’s Ang Bata sa Basket talks about proper parenting and how it transcends good intentions. It tells the story of the three frogs’ discovery of a baby in a basket floating on the river and how they look after it until they find suitable adoptive parents. Several animals from the wild express their willingness but the frogs realize they must find someone who can aptly attend to the child’s needs. Why you should read it: The story talks about the often taken-for-granted concept of adoption which many children, who luckily have their parents with them, may not be familiar with. Hence, with this book, Augie Rivera helps children understand such concept. 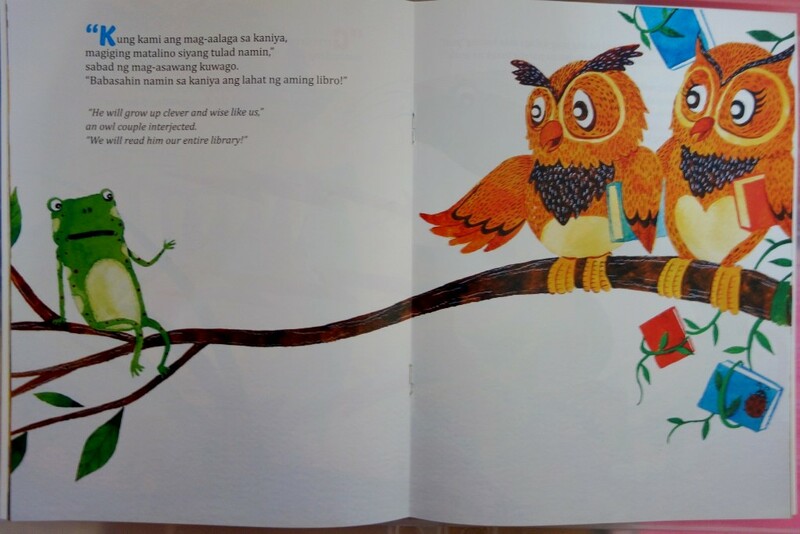 Why it is fun to read: As for the illustrations, prepare yourself for animal cuteness overload! Thanks to Ray Nazarene Sunga as I enjoyed the ultimate wilderness experience. 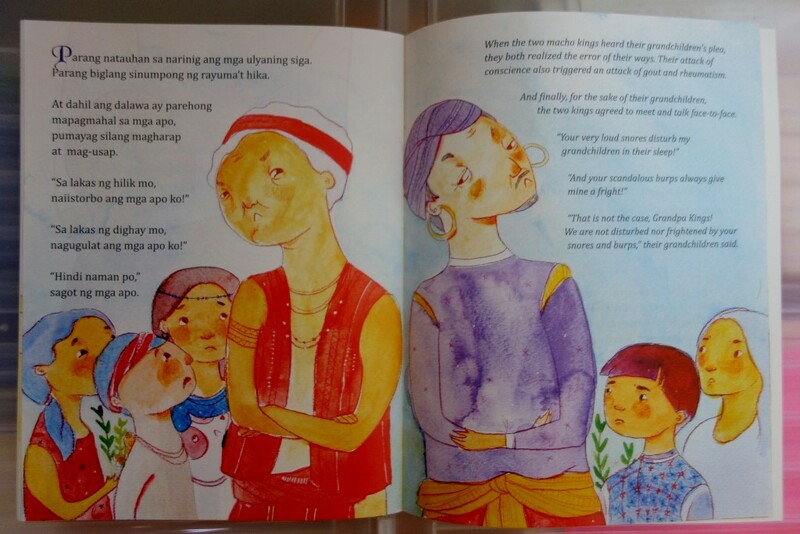 Next in the collection is Rene Villanueva’s Ang Dalawang Haring Siga, which narrates the messy rivalry between two macho kings Emong and Porong that wrecks havoc to their kingdoms. They don’t mind the despair they cause to their people until their innocent and peace-loving grandchildren, who, amidst the war, become good friends with one another, advise them to end their senseless fight. Why you should read it: The story tells us that grown-ups can also learn something – in fact, many things – from children, no matter how “small” they are. That’s why I think children’s abilities and ideas should never be taken for granted or underestimated. Apart from that, it also connotes that conflict will never do good to children or to anyone and that nations thrive more through cooperation rather than competition. Why it is fun to read: On the other note, I like the simplicity of the illustrations. Simplicity is beauty, indeed. 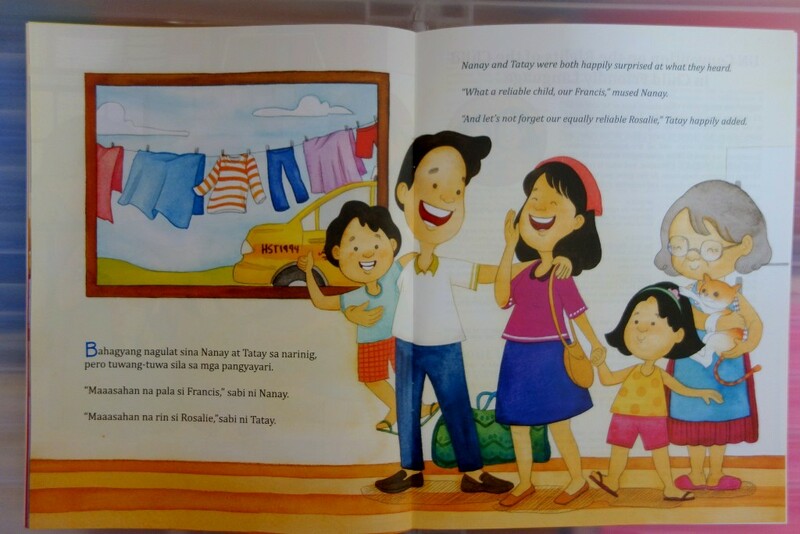 This story revolves around the family of two siblings Rosalie and Francis. Rosalie wants to become a traffic enforcer, while her younger brother Francis hopes to be a professional chef someday. Why you should read it: The book narrates a brilliant story about breaking socially constructed gender stereotypes and how children should be allowed and supported to pursue whatever their dreams and aspirations are. It also discusses taking responsibility at a young age in preparing children for the future. 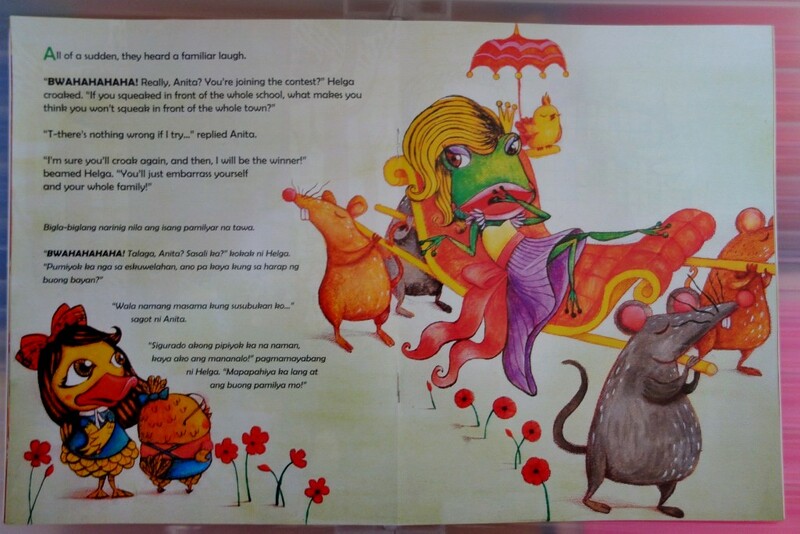 Why it is fun to read: The story is accompanied by colorful drawings which will surely catch anyone’s attention. Great story with an even better message! 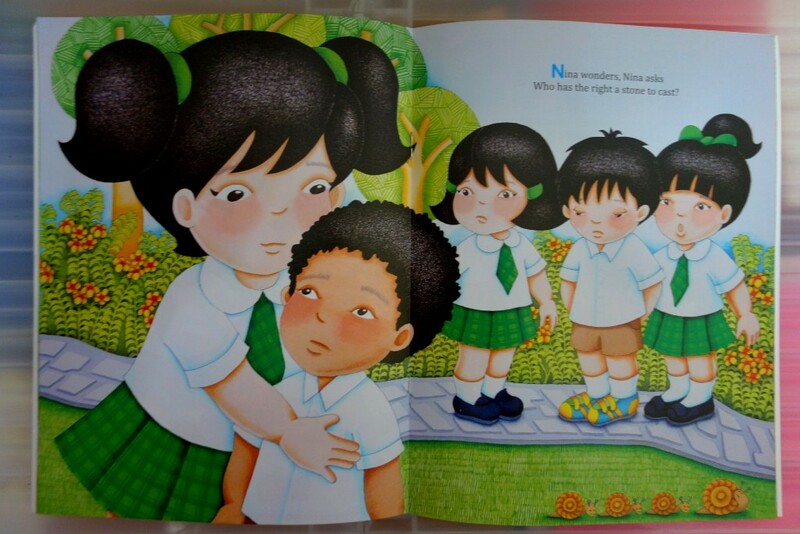 Next, Marcy Dans Lee’s Nina Wonders, Nina Asks narrates the experiences of Nina, who is an observant and curious child. Every day on her way to school, she witnesses the disarray in the streets and how people act impolitely and not follow rules. Nina wonders why people do such awful things. Why you should read it: Dans Lee’s book poses a critical view of how a child sees our seemingly ordinary day and how society, in return, influences and shapes our children. Aside from being an observant and curious child, Nina is adorable too! That’s very Dans Lee, whom I know from my freshman year at UP Mindanao. The last but definitely not the least in the collection tells a melancholic and introspective story of a young girl who longs for motherly love. Her mother works as a nanny to Anne May, leaving her daughter in her grandmother’s care. Despite getting used to the mother’s prolonged absence, the daughter continues to yearn for her mother’s tender care. Why you should read it: This story is very timely as we celebrate International Women’s Month this March. The young protagonist’s mother represents all women who work tirelessly not only for their employers, but also to provide for their families and, more importantly, for themselves as empowered, dignified and independent members of our society! So with that, happy International Women’s Month to everyone! To Anita, to Bata sa Basket’s adoptive mother, to all women who fought and suffered during the Emong-Porong War, to Rosalie, to Nina and to everyone, really! 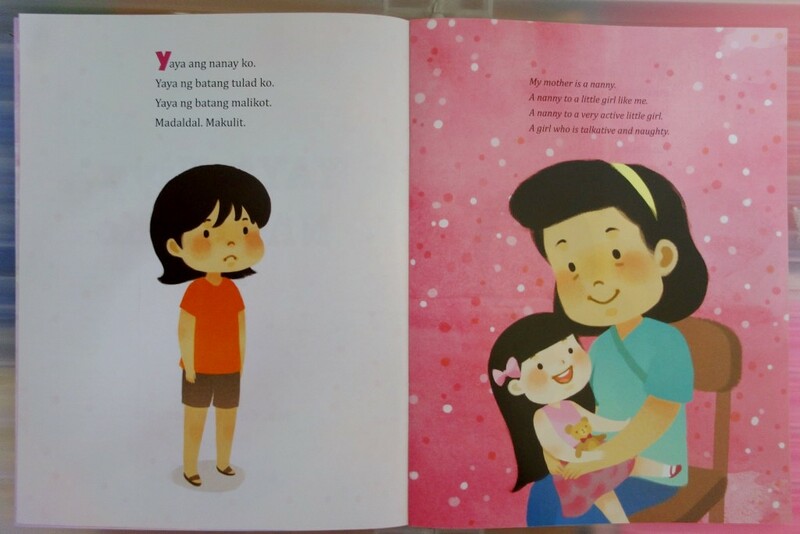 Children’s books are not just “children’s book” as some may say, “pambata lang naman ‘yan,” with a subtle undermining tone. These books introduce the basics of practically everything to children – from good manners and morals to more complex concepts of adoption and law. They equip children with essential knowledge and skills to survive in school and, eventually, in the real world, or even way beyond after retirement. This means reading children’s book at a young age is a great way to form a greater habit of lifelong learning and limitless experience. Special thanks to Pau Bautista and UNICEF Philippines. Thank you for reading our review, Ray! Please let us know if you have upcoming books that we need to pick up. More power to you! Hi, Jackie! Thank you for reading our review!